Cambridge is the perfect destination for culture, learning, music, cinema drama, dance, gigs, clubs, pubs and also just doing nothing! See visitcambridge.co.uk for a list of everything this fabulous city has to offer, which you can explore from our location in the centre of Cambridge. The perfect way to while away an afternoon. 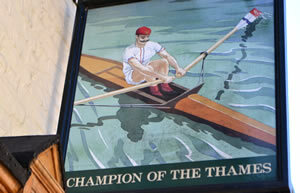 Take it easy on guided chauffeur punt or be brave and take your own punt… Rob will give you expert tips on how to do it! 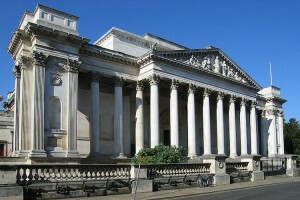 Beautiful from the outside, stunning on the inside with an extraordinarily eclectic collection from ancient Egypt to modern ceramics, the free admission Fitzwilliam is an absolute joy. And watch out for their special promenade concerts! Take a gentle stroll through the meadows to Granchester – a sheer delight whatever the weather. In the summer time, while away an afternoon picnicking by the side of the Cam or drop into The Orchard Tearooms for afternoon tea sitting in a deckchair in the shade of the apple trees. Well it just has to be included doesn’t it?! Even after 35 years of gazing at it, it never ceases to inspire and amaze us. The changing light of the day and the seasons seems constantly to change its personality. View it from Kings Parade, from the Backs, from the inside and check out the many concerts. But the real trick is to attend Evensong and the Sung Eucharist on Sunday mornings. Timeless. Beautiful. Moving. Just unforgettable. Yes it’s kitsch. Yes it clogs up the traffic. 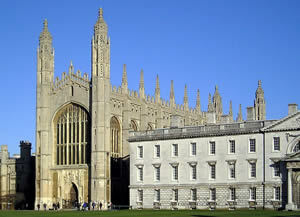 But it is a fun way to see a lot of Cambridge in a short time and you can hop on and off en route. The bus calls at the stunning American Cemetery at Madingley – oh, that’s six things! It’s great to have such a good pub as the closest to Duke House. This is a neighbourhood gem. The Clarendon has been serving the locals for over a hundred years and offers well kept beers, good wine, a warm welcome and good pub grub (Sunday roasts are especially good) all at very good prices. Many guests have popped down to the Clarendon with it being so close and always bring good reports. In the summer time there is a little courtyard out the back. The quiz nights are actually very good – yes really - with the locals and students competing on their general knowledge. And there’s always a warm welcome behind the bar. What lucky people we are! In our view, a great example of a good, old fashioned British ale house, and just across Christ’s Pieces. So many old pubs have either closed their doors or been homogenised by the breweries (someone should have been severely punished for what they did to the Baron of Beef) but under Lawrence Dixon’s excellent management the ”Champ” is a safe place to enjoy excellent beers and eclectic conversation. There’s no food but a passing nod to modernity means there is a TV for major events. Judicious volume control means it never dominates. You might well turn up and find a small team in the corner tackling the University Challenge questions. Workmen, dons, students, advertising types, fashionistas jostle for space or a stool. In short, we love it and long may it continue in these changing times. A little bit more of a walk from Duke House but well worth it. Actually, we almost put this one in the restaurant “five faves” as we usually go there to eat. With old world “distressed” charm, friendly staff, Adnams ale, good lagers and a great wine list it certainly delivers as a pub. But the food is what draws us back again and again. “Gastropub” is a bit of a passé term now but this is exactly the type of place for which the word was invented. Great British food from a kitchen that knows how to balance old favourites with new twists. Dishes such as mackerel with salsa verde, parchment baked sea bass, grilled bream and roast guinea fowl vie for space with steaks, burgers and fish and chips. And once you are settled you do get table service. And now it even has its own “Punter Ale”… Why can’t more pubs be like this?! These three pubs are virtually next door to each other within a two-minute walk from Duke House. Each has its own personality and for different reasons each is worth a visit. The Free Press is a cosy traditional little pub with a real fire in winter and still has a Victorian snug bar. It has longstanding reputation as a Cambridge pub favourite. The Elm Tree has an eccentricity, which has to be experienced to be fully appreciated! For years it has been a proud supporter of independent brewers and its ever changing and vast range of British and European beers and ales is a delight for enthusiasts. The Cricketers is more food oriented these days, serving delicious, authentic Thai food in very Cambridge surroundings. Midsummer House is a great place for special occasions, but if you are really into your food this outstanding two-Michelin starred restaurant is the place to be at any time. 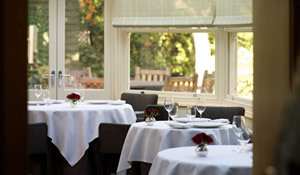 The conservatory restaurant is even bigger after a recent refurb and the food continues to amaze and delight. In the summer, the top deck is a great place for a pre-prandial drink and to watch the river easing by. We could almost see our old house from there! Daniel Clifford’s media profile is rising fast and we can only see more good things ahead for this internationally renowned altar of fine dining. Cotto has now relocated to The Gonville Hotel, which is still only a short walk from Duke House. A celebration of fine food and personal unobtrusive service it is a unique Cambridge experience. Open Tuesday to Saturday only. A lively combination of beer house and restaurant, The Pint Shop has a vast range of craft beers and delicious food. 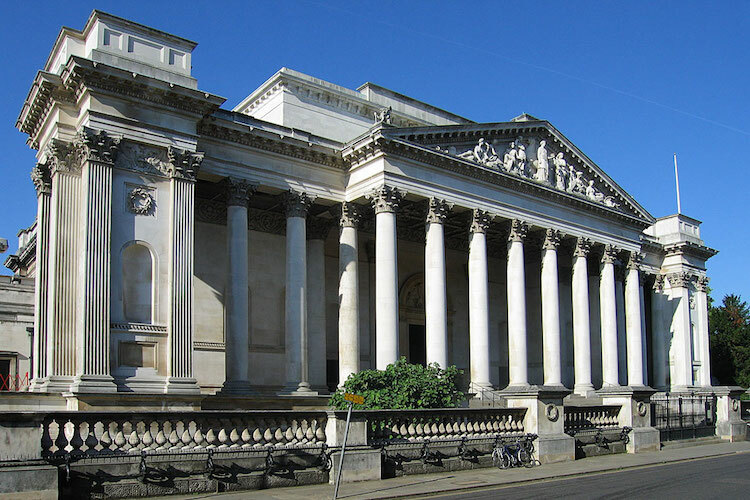 Right in the centre of Cambridge it is a good stopping off point for a drink and a snack or a full meal in its small restaurant tucked away behind the bar. A relatively new addition to Cambridge The Trinity is a great centrally located Restaurant. Great for people watching if you can get a window seat. 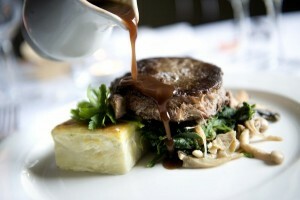 The food is elegant and flavoursome with friendly service and in relaxed surroundings.